(by Alexandra Gallo, CNN Wire, posted at CBS News local Denver) SCRANTON. PA – While many professional athletes are taking a knee, many veterans are taking a stand. 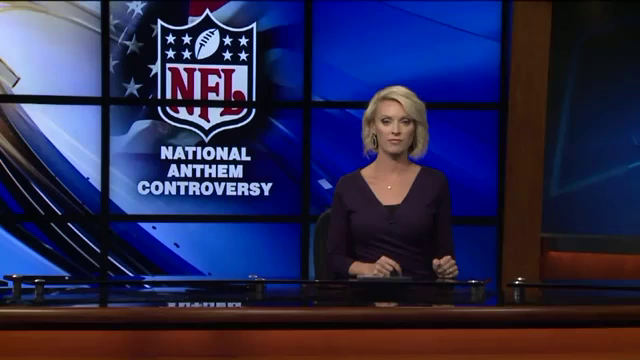 “[NFL players] have so much power. It is wrong for them to abuse their power,” said Ed Faatz, the president of Friends of the Forgotten. “It’s very disappointing because these are idols of society and it’s trickling down. It’s when the high school players start to do it. The college kids start to do it. Their coaches don’t tolerate it,” Albert said. The news brief above was posted at CBS News local Denver on Nov. 6, from CNN Wire. Reprinted here for educational purposes only. May not be reproduced on other websites without permission. Those with less of a sense of service to the nation never understand it when men and women of character step forward to look danger and adversity straight in the eye, refusing to blink, or give ground, even to their own deaths. The protected can’t begin to understand the price paid so they and their families can sleep safe and free at night. No, they are not victims, but are warriors, your warriors, and warriors are never victims, regardless of how and where they fall. Death, or fear of death, has no power over them. Their paths are paved by sacrifice, sacrifices they gladly make for you. Like those who went before them in uniform, we owe them everything. We owe them our safety. We owe them our prosperity. We owe them our freedom. We owe them our lives. Any one of them could have done something more self-serving with their lives as the vast majority of their age group elected to do after high school and college, but no, they chose to serve knowing full well a brutal war was in their future. They did not avoid the basic and cherished responsibility of a citizen—the defense of country—they welcomed it. They are the very best this country produces, and have put every one of us ahead of themselves. All are heroes for simply stepping forward, and we as a people owe a debt we can never fully pay. 1. How did the heads of two veterans groups explain their decision to boycott NFL games this Veterans Day weekend? 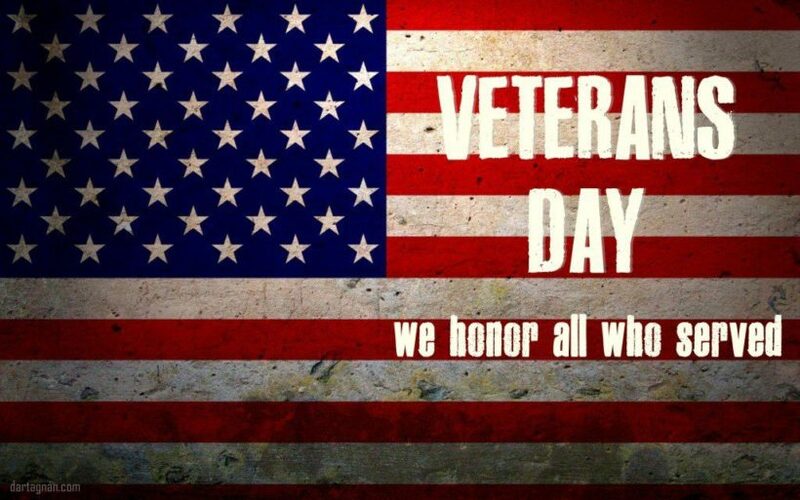 The purpose of Veterans Day is to to honor America’s veterans for their service and sacrifice. TravisMills.org – Travis is one of only five soldiers from the wars in Afghanistan and Iraq to survive a quadruple amputation. Find out how he is helping fellow veterans today. Consider supporting this honorable work! **For a great movie about three veterans returning home from WWII, watch The Best Years of Our Lives. **Seargent York is a movie based on the true story of Sgt. Alvin York in WWI. – also highly recommended. Veterans Day Wreath-Laying Ceremony — Nov. 11 at 11am Live on C-SPAN. The annual Veterans Day National Ceremony begins with a wreath laying at the Tomb of the Unknowns and continues inside the Memorial Amphitheater with a parade of colors by veterans’ organizations and remarks from dignitaries. Read more about Veterans Day at about.com. NOTE: The wearing of poppies in honor of America’s war dead is traditionally done on Memorial Day, not Veterans Day. The practice of wearing of poppies takes its origin from the poem In Flanders Fields, written in 1915 by John McCrae. 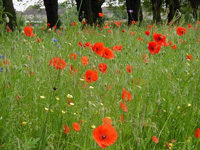 Have you ever read the Flanders Fields poem? Have you ever given money to a veteran offering poppies at supermarkets or church? Do you know how this tradition first began or what is done with the money collected? For history of the Memorial Day poppies go to: www1.va.gov/opa/publications/celebrate/flower.pdf.